"What I like most about SolidShops is its flexible templating system. It makes designing stores so much easier." We asked our clients to describe us, because they know best. With SolidShops, I can easily create a Facebook store with a unique design for my clients. They love it, I love it. Because SolidShops is a hosted application, I can get started in minutes. There's nothing to download or install. Running a store is a lot of work. Luckily I have SolidShops to do the heavy lifting for me. I love the simple admin interface. 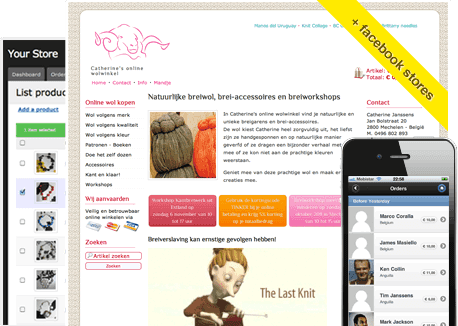 SolidShops is made by and for web designers and it shows. The built-in code editor makes it dead easy to code stores. Receive updates and learn to build stores. Don't miss out on our occasional product tips and updates that will help you build better online stores. We don't do spam. 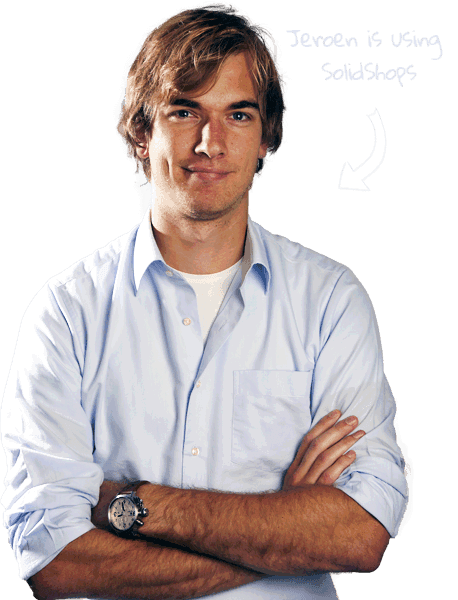 Hi, I'm Dries, one of the founders of SolidShops. If you have any questions, just get in touch with us and I'll make sure you'll get the help you need.